after pregnancy, its diagnosis may well be an early indicator of underlying heart conditions that may simmer for decades. In fact, studies now show that pregnant women who develop preeclampsia have more than twice the risk of having a heart attack or stroke later in life. “There are three times in a woman’s life when she is seen by a health care professional on a regular basis: 1. as a newborn/toddler, 2. when (if) she develops a chronic disease, and 3. when she is pregnant. Pregnancy is a window of opportunity to screen women for health risks to ensure health preservation and disease prevention”. 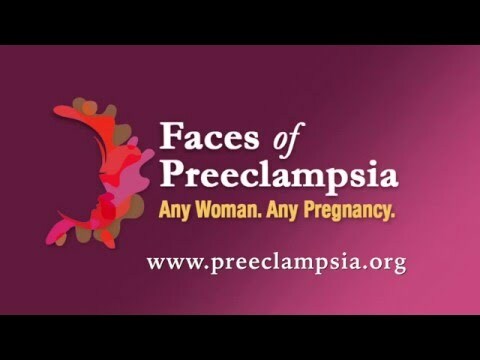 Are some women more likely to develop pre-eclampsia than others? Doctors tell us that it’s more common in a woman’s first pregnancy, and in women whose mothers or sisters also had the condition. The risk of preeclampsia is also higher in women carrying multiple babes, in teenage mothers, and in women older than age 40. Other women at risk include those who already had high blood pressure or kidney disease before they became pregnant. The cause isn’t precisely known. Editor's Note: Guest blogger Carolyn Thomas can be found @Heart Sisters, where she writes and speaks on all matters of women and heart disease. This article was originally posted on her website on Dec. 12, 2011. We have shared it here with her permission. Red Dresses, Red Hearts...Does Heart Health Really Matter?